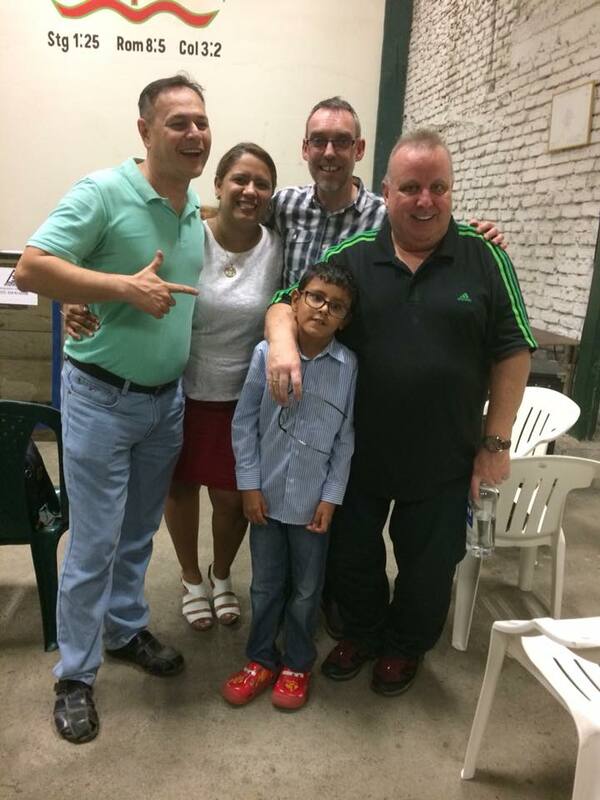 My dear friends Hernan & Aida Gonzalez, and their lovely little son, Hernan Jr, pastor the church ‘Nuevo Nacer’ (New Born/Birth) in the very dangerous barrio, Simon Bolivar, Cali. 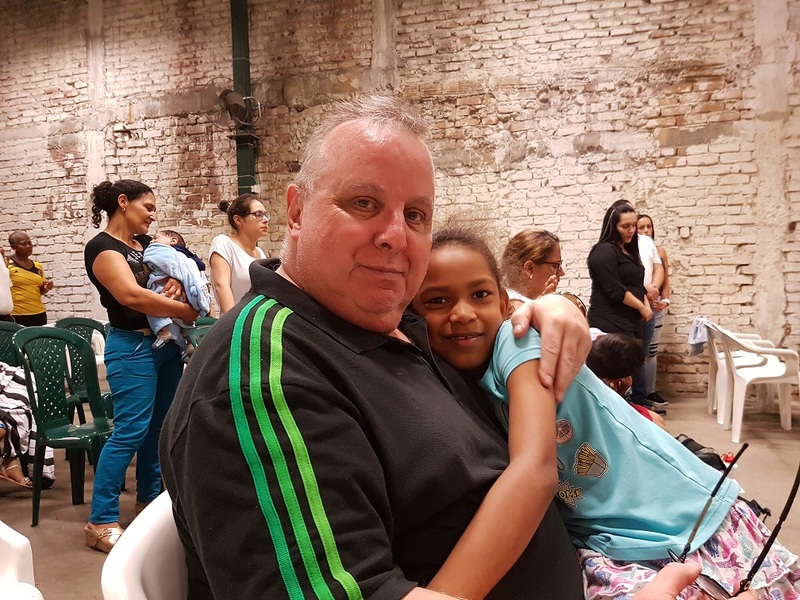 There are occasions when taxi drivers baulk at taking you there – a bit like to Retiro on Thursday night, and Ana Beiba’s home, Alfonso Aragon Bonilla. The church is right at the top of my favourites list, however, and Hernan & Aida are just incredible. I met them at what was ‘sold’ to me as a ‘Pastor’s Dinner’ – and I was a guest. It turned out to be a churches ‘health and safety’ meeting, lasting a good 2.5 hours, with copious numbers of stick men and women drawn on walls, on the ground, signs telling you what to do in a ‘terremoto’ (or ‘tremblor, I think) – earthquake…. all in Spanish with a vocabulary I didn’t have! it was SOOOO boring, and my team and I were bored witless. Then came the time for dinner – which was in a downstairs room at the church. There were a good few pastors who knew me, and some, and wives, came and asked for prayer. Among those were Hernan & Aida, who, though I didn’t know them then, saw people getting healed, and joined the line…. After introductions, I prayed with Aida, who had – if I remember – a large painful lump at the top of her spine and on her shoulder. It went. Friendship confirmed! Downstairs for dinner, to find it had all gone. Joy oh joy…. Last night, Hernan walked – in blistering heat – about 7 kms to come to the apartment to take us to church. It IS a dangerous barrio, and not safe for gringoes (us) to be in alone. He arrived on what was probably the hottest day of the trip, we made him coffee and a cold drink, and I offered what little we had in the fridge – a yoghurt. He was thrilled (yes, really) that it was an Alpina brand, ‘my son loves these, they do him a lot of good, probiotic’… so I asked if they were they the yogs he bought for Hernan Jnr. No, they couldn’t afford them…. here, they are 7000 pesos for 5: 1400 each, thats about 30 pence UK…. I gave him the whole pack we had in the fridge, and he nearly cried….so he drank the one I’d given him separately with relish…. 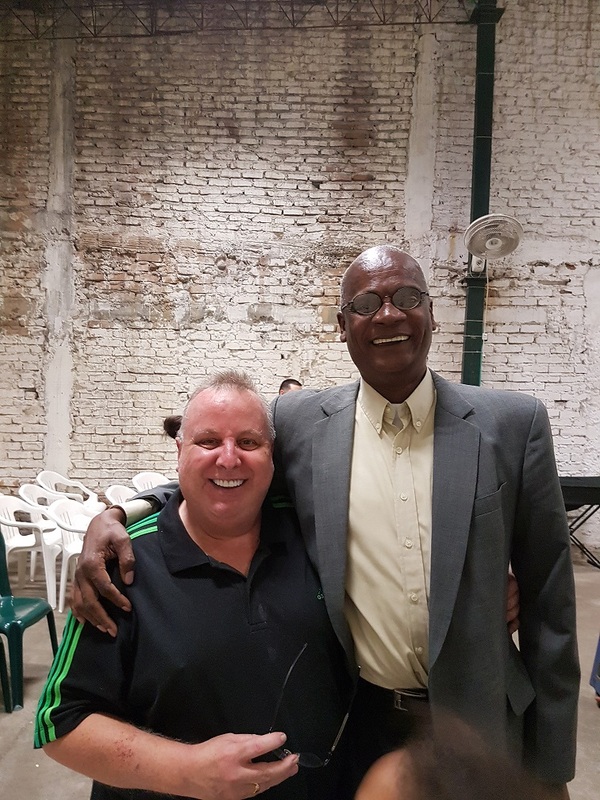 We had a great meeting in their church: Simon spoke really well again, on the opening verses of 1 Peter: a good response afterwards, and then the chance to pay for a few specific people for healing, including Aida, who had what sounded like shingles and a hernia. She’d been in a lot of pain, yet led the worship with incredible passion, her voice is very powerful, and it was tremendous. God took all her pain away. As he did with others that I prayed for: and I’m sure he did with Simon’s folk. Hein, my dear friend, translated again, my first-ever translator in Cali 21 years ago. 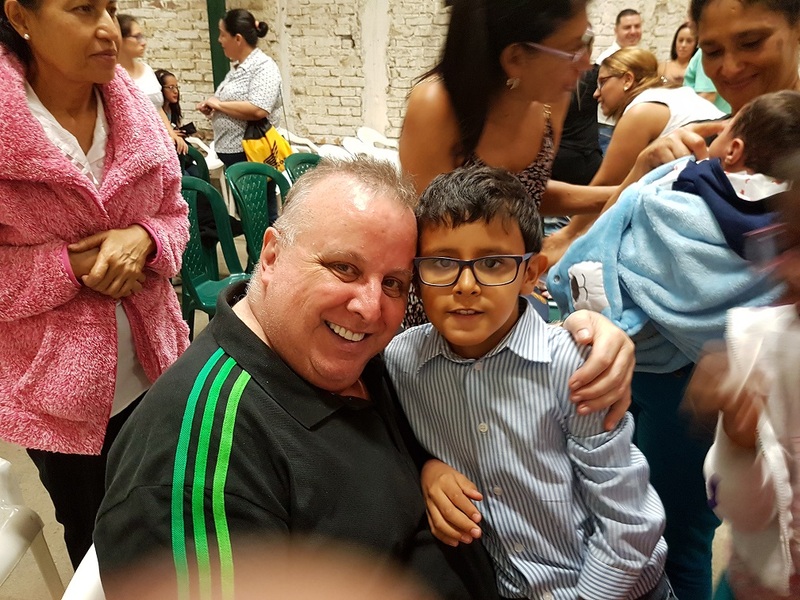 I said last night, to the church, I feel good when he translates as he’s so good at it, but bad because he’s such a good preacher, much better than me, and I always feel that his humility in translating for us is immense…. « Opening of the new El Abrigo House – 5 p.m. Sunday 12 November – hopefully streamed live!